Once again, I need to state that everyone has a worldview that is comprised of presuppositions (those things that we assume to be true without verification). Atheism is a weird belief with many aspects, and some people who profess atheism are actually agnostics (unsure of God's existence). I've even seen one tinhorn profess agnosticism and then jump the fence and identify as an atheist in the same post. So, atheists have a passel of presuppositions in their religion. I suspicion that some people want to call themselves atheists because they heard that atheists are the smartest people. That's demonstrably false. (It also leaves out the fact that many of the most brilliant people, past and present, have been not only Bible-believing Christians, but biblical creationists as well.) Often, Christians have challenged the claims of professing atheists, and the atheists are startled to find that they are not reasoning properly. That really puts a burr under their saddles. 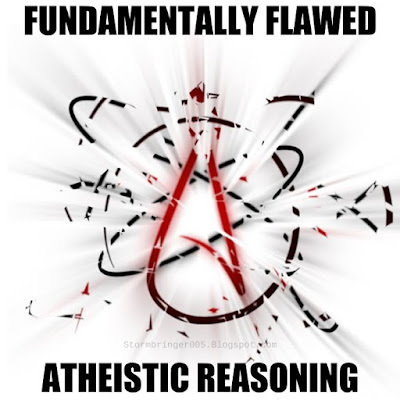 When we point out that atheism is a religion, they come back reactions revealing their ignorance of legal decisions, philosophy and religion, and logic. Many times, they have their own redefinitions of religion, conveniently leaving out important aspects. 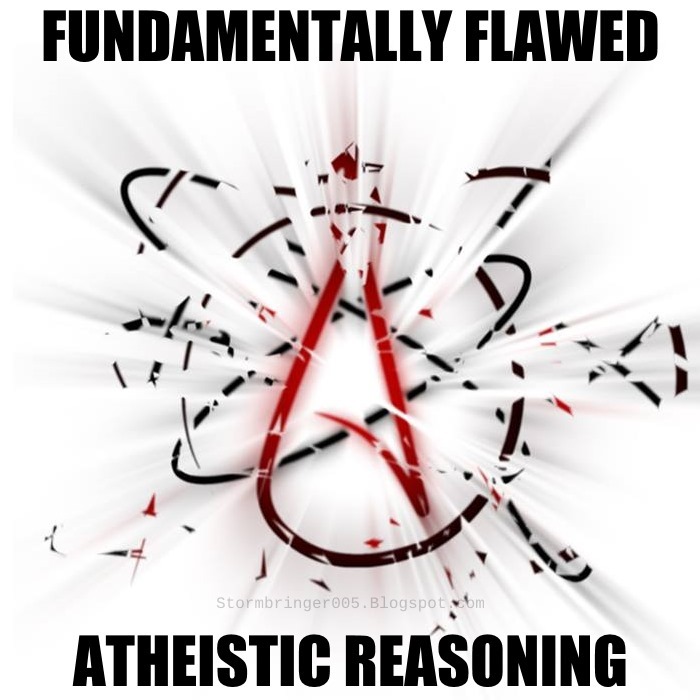 Then they assert that atheism is based on logic. That'll be the day! To read more about this, click on "Feedback: Is Atheism a Religion?". Scoffers try to sound intellectual when coming up with "reasons" to deny God's existence, recent special creation, the truth of the Bible, and more. Many of these objections are exceptionally weak and demonstrate lack of thinking skills. When attempting to use science to justify atheism, they fail miserably. See "Answering atheist arguments". As I stated earlier, those who claim that there is no God (or no evidence for him, in defiance of Romans 1:18-23) are presupposing materialism. From this, they claim that the Bible is false because it contains miracles, but there can be no miracles because God does not exist. That bit of circular reasoning really takes the rag off the bush! Ironically, atheists have their own corral full of miracles. For some brief examples of atheistic "reasoning" and how it can be easily refuted, read "Do the miracles of the Bible have natural explanations?" Despite pretensions, atheism is not intellectual and they are not smarter than us st00pid dumb Xtians. There are many reasons people choose to be atheists, but such a position is not reached through logical thinking. Instead, it is emotional and spiritual — and they claim to deny spiritual aspects of humanity through their naturalism and materialism. The gospel is foolishness to them because it is spiritual, not something that the natural man can comprehend. But they can have salvation in Jesus Christ and become new creations. It begins with repentance and continues through the grace and mercy of God.